The 1936 Texas Centennial was the first statewide, systematic effort by Texans to commemorate historical events, places, and people. Centennial organizers used the year 1836, when Texas became an independent republic from Mexico, as a symbolic starting point for a broad celebration of the state’s history and industry. The celebration produced some of Texas’ most recognized landmarks—the San Jacinto Monument, Alamo Cenotaph, and expositions buildings in Dallas and Fort Worth—along with hundreds of other commemorative properties in 250 Texas counties. 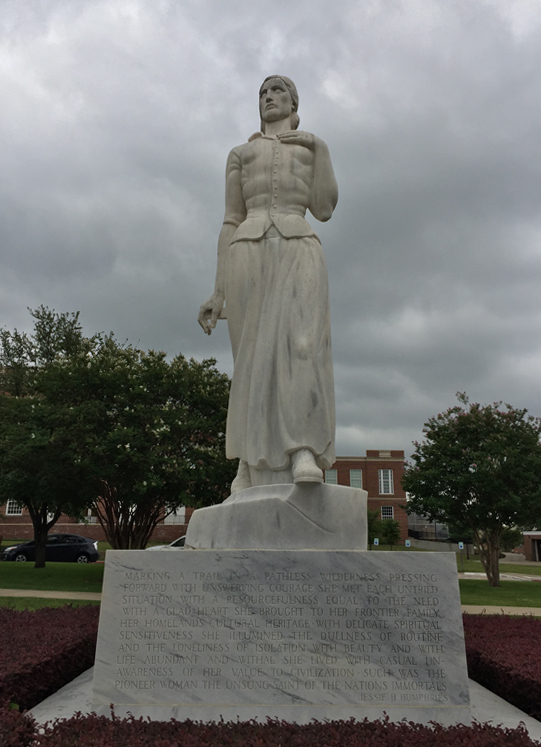 Between 1935 and 1939, the Commission of Control for Texas Centennial Celebrations implemented a statewide program to plan and construct more than 1,100 properties—buildings, markers, and public art—to honor Texas’ 100th anniversary of independence. The massive undertaking benefitted from an organizational structure that involved political leaders, state agencies, historians, artists, architects, craftsmen, and ordinary citizens. However, the monument-building process was constrained by limited resources and complicated by political interests that competed against historical and cultural values. Thus, the Centennial commemorative properties were imbued with a historical narrative that communicated that generation of Texans’ desired identity as much as the actual history they memorialized. 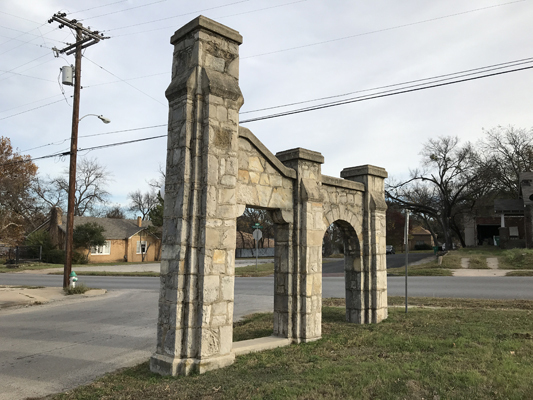 In 2018, the National Park Service approved THC’s “Monuments and Buildings of the Texas Centennial” Multiple Property Form that included a historic context for the 1936 statewide commemorative program and an inventory of associated properties. Beginning in 2018, several Centennial commemorative properties in Texas were individually listed in the National Register of Historic Places (NRHP), and nominations for others are in process. Links to nominations will be added to this page as they are approved. The Multiple Property Form: “Monuments and Buildings of the Texas Centennial” provides the history of the statewide program to plan and execute Centennial projects, annotated bibliography, an overview of associated property types, and an inventory. The Texas Historical Commission website includes a page to Centennial historical and highway markers. Some properties associated with the statewide Centennial are listed in the NRHP as contributing and noncontributing properties within historic districts or on the property of a listed building. For assistance determining the contributing status of a Centennial property in a listed district or individual property, please contact THC’s National Register Coordinator.